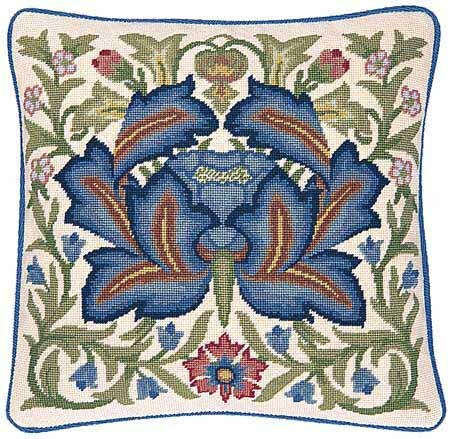 This superb design was originally produced by William Morris as an embroidery kit. It could be purchased as an outline on fabric with some of the stitching partially done if required. Working with wool on linen, one of Morris' clients embroidered eight full size wall-hangings in crewel work; some of these may be seen at the William Morris Gallery, the Victoria & Albert Museum and the Fitzwilliam Museum, Cambridge. 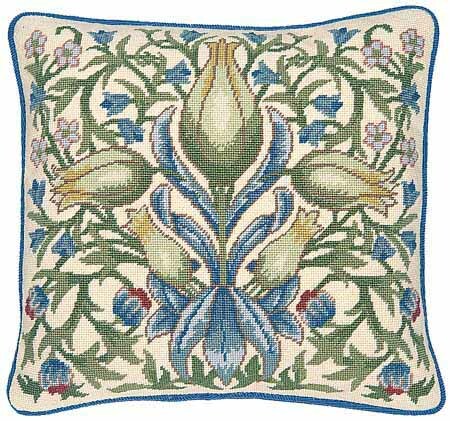 The same design worked in silk may be seen at Standen, East Grinstead. Beth Russell has adapted three parts of Morris' Artichoke for needlepoint. 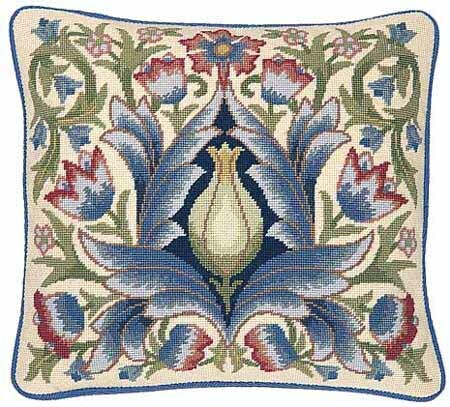 The kit uses Appletons tapestry wool on 12hpi canvas and measures 14" x 16" (37x40.5cm).